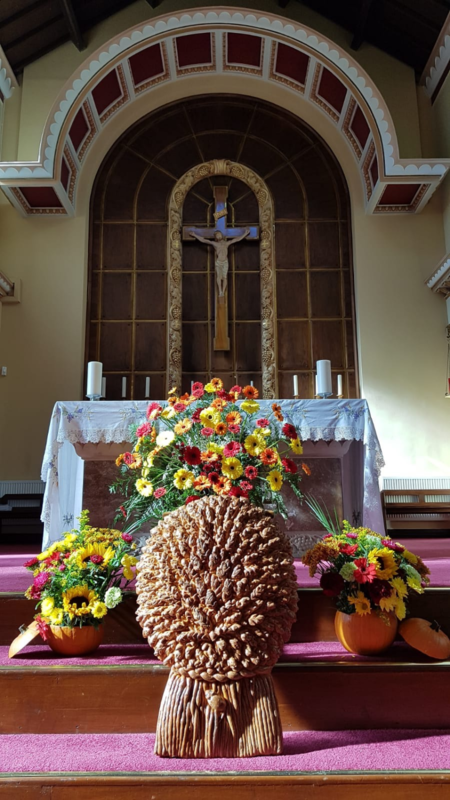 On Sunday evening , 23rd September, the Bradford North Churches Together met at St Clare's for their annual Harvest Thanksgiving. The service was devised and led by Fr Stephen Webb and members of the parish took part alongside ecumenical guests. The music was directed by Mr Alex Kyle from the diocesan music department and our school choir sang the Harvest Samba and Butterflies and Moths.